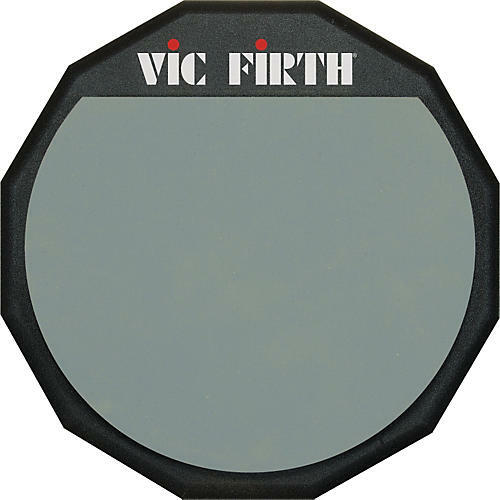 Vic Firth Single Sided Practice Pad 12 in. Features a nonskid rubber base. The 12" will fit in most snare baskets (sold separately) and the 6" pad includes an 8mm mounting thread for use on a cymbal stand (also sold separately).